The activity of your dreams! 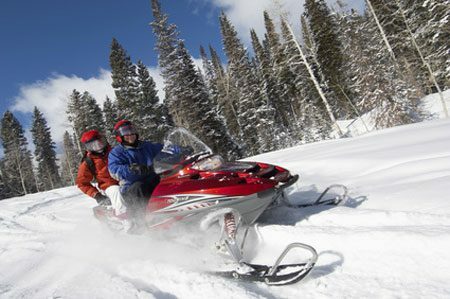 15 minutes from Quebec City, have the snowmobile ride of your dreams for a few hours or more on beautiful snowy trails. You will drive through provincial trails and discover kilometers of forest trails to the Mont Ste-Anne, Hautes Gorges de Charlevoix (recognized by UNESCO) or the Laurentides National Park. Grant yourself this long-waited white dream, enjoy the great outdoor spaces through the Quebec region. 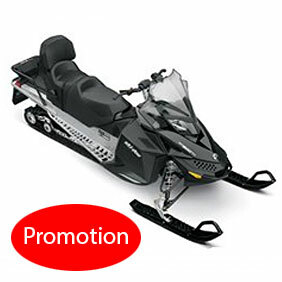 Beginner or experienced - You will love snowmobile! Whether you are beginner or experienced, we have journeys to offer. You can stop a few moments for a coffee break or enjoy a meal in a warm snowmobile relay on your way. On site, several models of BRP snowmobiles sports and Grand Touring or Expedition are available. You can rent a complete outfit, bags and accessories. Experience the adventure with us! Groomed trail riding with a passenger. 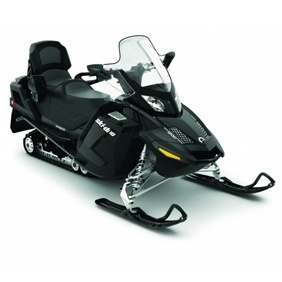 A 2 seats snowmobile with advanced ergonomics and a good fuel economy. It is designed to take you wherever you want. Riding on and off trail. Features cutting-edge technology for driving on trails with a passenger, driving off trails or pulling loads. 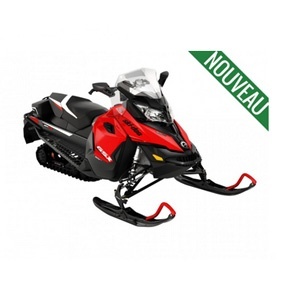 Available model with 4-stroke Motor 1200 CC offering performance and luxury. 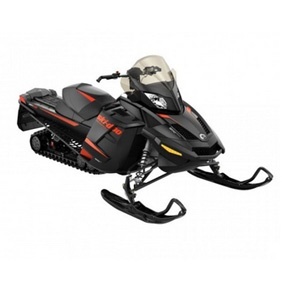 High performance model with 800cc 2-stroke ETEC motor. The all-new Switchback Pro-R offers uncompromising versatility that combines RUSH maneuverability with off-road buoyancy. 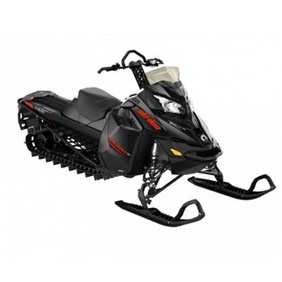 The Switchback inspires confidence, whether the track is freshly groomed or defeated. You choose the path and the snowmobile holds it perfectly. 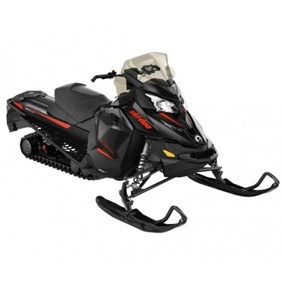 Equipped with the xs platform offered by BRP, it's the hybrid trail sled where the occupants' comfort is the priority and its off-road ability is excellent, designed for our long winter excursions. 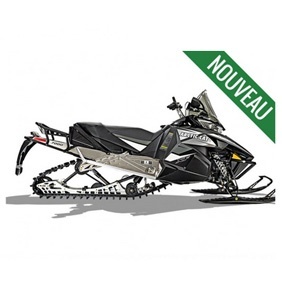 New this year at Artic Cat body with Yamaha 4 stroke engine. Come and compare! 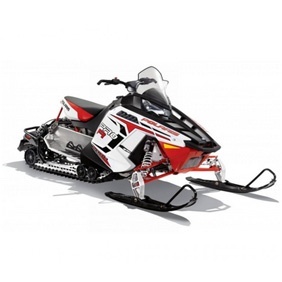 New this year at Yamaha Artic Cat body with Yamaha Motor 4 stroke. Come and compare! 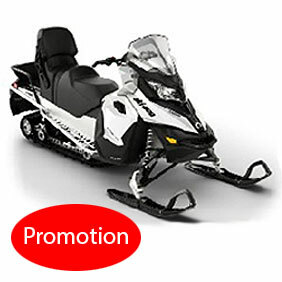 Model available with 4-stroke Motor 900 CC offering performance and luxury. 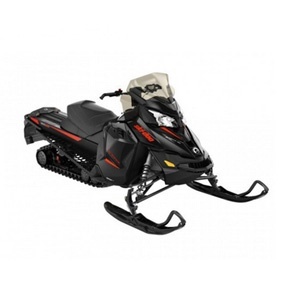 New model for 1 person with high performance ETEC 600cc 2-stroke engine with good off-road performance. 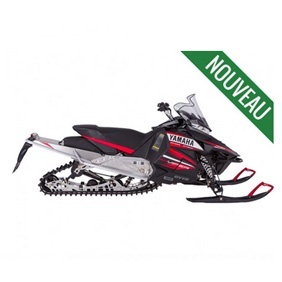 To the delight of the winter enthusiast des bois, this snowmobile will offer you as much pleasure in discovering unknown lands still virgin packed with abundant snow. With its 159-inch long track 20 inches wide, you'll literally float on the snow. Included: insurance, travel permits, trail map and unlimited mileage. 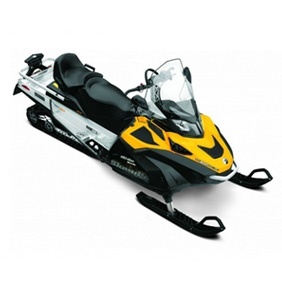 Full snowmobile clothing, helmets and boots. Not included: gas and oil. **Note : our prices are subject to change without notice. The Best Service,The Best Staff and the Better experience.100% recommended. You are the Best.